I’m fairly new to kohlrabi. I don’t know what took me so long to start growing this brassica, because I love it! Kohlrabi reminds me of the stem of broccoli, only crisper, more refreshing, and a bit milder. 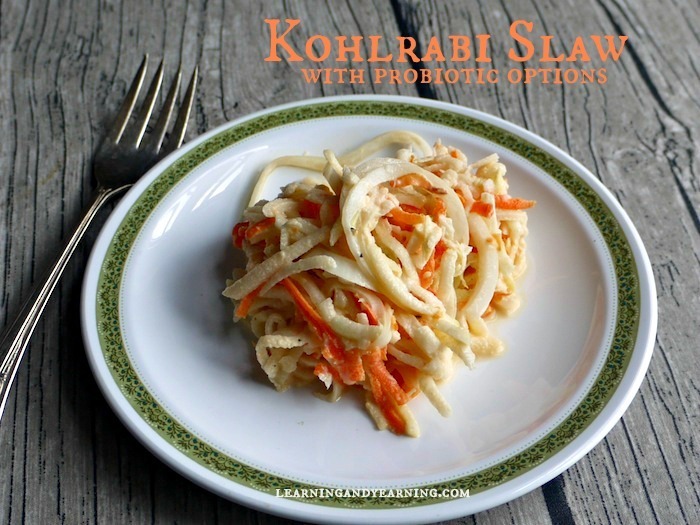 I used a recent harvest to make this delicious kohlrabi slaw with probiotics. Seriously, I can’t get enough of this! Start kohlrabi seeds indoors 6 weeks before the last frost for your area, harden them off, and then transplant them to a sunny spot in the garden, spacing them about 12″ apart. 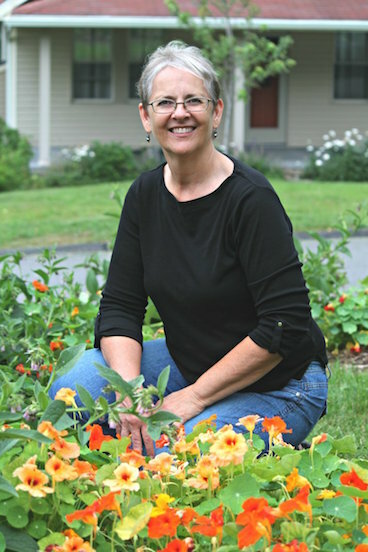 For a fall crop, direct sow the seeds in the garden 90 before your average frost date. 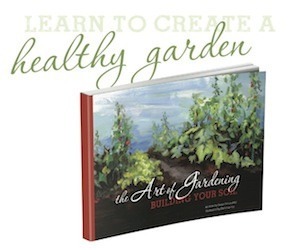 When the bulb reaches 3″ in diameter, harvest the kohlrabi by cutting just above the soil. Kohlrabi seeds are available from MIGardener, and they, along with all their heirloom seeds are only 99 cents a packet. 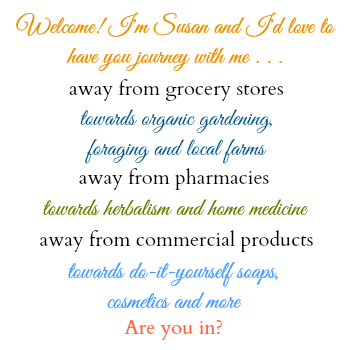 Click on the link here, and you’ll also get 10% off your entire order. 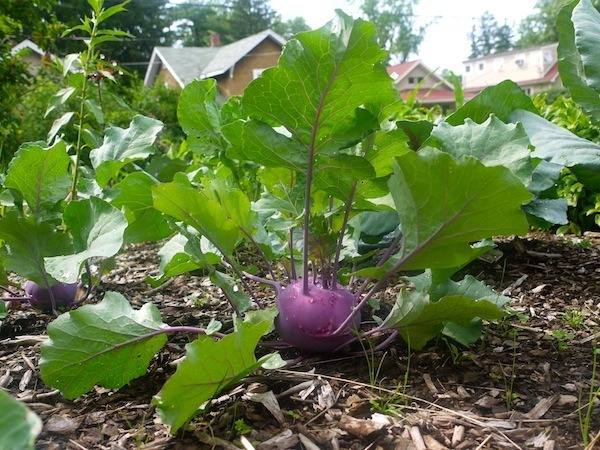 Kohlrabi is delicious raw, and can also be roasted, or cooked like potatoes. It can even be mashed. And Small Footprint Family has a great recipe for Kohlrabi Jicama Salad. To add probiotics to this recipe, use cultured sour cream, lacto-fermented mustard, and lacto-fermented horseradish. 1. Combine all ingredients and refrigerate at least an hour before serving. What great ways have you found to use kohlrabi? Hi Rosalyn, I think it will be just fine without the horseradish. Round? Congratulations!!! Hope your home sells quickly. The first time I layed my eyes on kohlrabi was in college when my farm girl roommate brought some back to our apartment from their farm. At the time I thought it looked very strange and I wasn’t about to taste it. I’ve still never tried it and it’s about time I did! You inspired me. I’ll look for it at the farmer’s market. Hi Kristel!!! I was quite surprised by it. The first time I had it was at a friend’s and she cooked it like mashed potatoes and it was yummy. But I think I like it raw even more.